I am planning to immigrate to Brazil. Therefore, i am looking for an experienced lawyer in Minais Gerais who is able to assist me with obtaining a permanent investor visa and setting up a brazilian company. I would like to ask you if you could have a look at a very brief description of my plans to determine whether my plans will allow me to be granted a permanent investor visa and also future extensions of my Visa. Thank you a lot for your contact. The company usually takes 3 months to be running. The Visa sometimes takes up to 3months. So, you might consider come once as a Tourist, then go back to you country and only then return with the permanent Visa. Please send me more details on your business plan. I will be glad to review it. 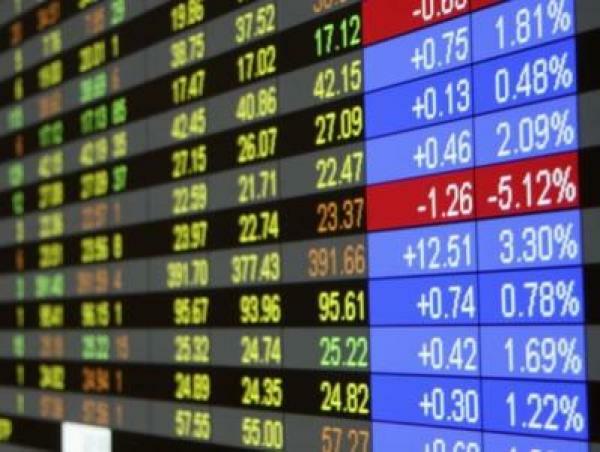 I currently live in the Netherlands and work as a daytrader ( through my corporation) in stocks on the stock exchanges of the united states ( Nasdaq & Nyse). I work alone and I have no employees. In Brazil these activities are taxed at 20% ( and I believe 15% if the position is held for more than 1 day) . I would be able to setup a corporation in Brazil ( to be allowed an investments visa) with 1 or 2 assistants, getting licenses, arranging accountants who are familiar with this matter… But this is would not be what I am looking for. I would like to day trade alone as a “pessoa fisica” , pay the tax of 20%, no assistants…no license etc. In this case, to be able to be granted residency in Brazil I will need to setup another small business. Since I spend most of my time trading the stock market, I would like to invest in something with small risk and which doesn’t take a lot of time for me to manage… but which will allow me to be issued a permanent residency visa (and future extensions) and comply with Brazilian law. Would such kind of a simple business be granted a permanent residence visa + extensions, while there are only 1-2 employees and the risk is pretty low ( since I could always sell the store)? Adler, I hope that you feel what I am aiming at. If you have any other suggestions for me which would also allow me to reach my goal, then I would really appreciate. Initially, I'd not recommend you to trade as a "pessoa física, since you would be subject to personal taxation as a Brazilian citizen. The total taxation might be higher than the 20% you mentioned. 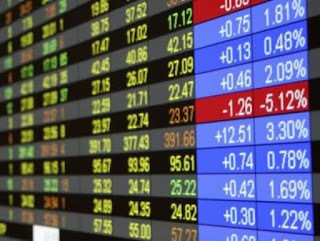 Invest as a foreigner, through a special foreigners account, which would be managed by a Bank. You would have total liberty. The additional cost would be the bank commission. Nonetheless, you would, as a foreigner, be eligible to some tax incentives, such as near 0% taxation when investing in Government bonds. Or, your company in Brazil could operate in the stock market (even if the main business is a cafe). I must calculate the precise taxation, but it could be lower than 20%. Please give me your comments on those ideas. I wasn’t aware of the fact that the total taxation could be higher if I would trade as a ‘pessoa física’. Investing as a foreigner would probably not be an option for me, since I am doing a lot of transactions everyday through a special brokerage platform in the USA and trading to a special foreigner account would probably have less possibilities to trade and more restrictions. The other option sounds really appealing to me. Here in the Netherlands, the tax authorities would immediately force me to change the main business to stock market trading. However, if it would be possible than I would be very interested. Especially since you did mention that the rate would be lower than 20%. While I thought that the corporate tax is approximately 15(tax)+10+9(social contributions)=34%. I tried to find the exact percentage on a government website since I believe that the social contribution part is dependent on the sector, but i wasn't able to find the right sector…. In fact, Brazil has a very simplified regimen for foreigners who wish to deal in Brazil. I understand that this would make you compromise some of your capital in Brazil for a while, though. It is possible to invest as a foreigner while living in Brazil, as long as the money is originally registered as belonging to a company in Netherlands. If you live permanently in Brazil, you cannot trade as a foreigner forever. On the main business topic: in Brazil the regulation is much simpler. You may either do the investments as a lateral activity of your firm or just add it to the company's activities. Finally, the taxation rate would be 34%, but the calculation method makes the real taxation drop way below than that, since the taxable amount is not the gross income, but the adjusted income, after expenses, etc. On the other hand, investments in the stock market may also be taxed on the source, that is, at a fixed rate, regardless of the profits of the company. It is a complicated issue. Also, there is the assumed profit taxation system, which would allow you to pay taxes over your gross revenue, instead of over net profits. In many cases, this ends up saving money for the company. At this topic, I believe the best thing to do would be for you to look for a Legal Opinion covering all of your options, including tax calculations. Today I would like to demystify some of the (overly bureaucratic) Brazilian rules on import and export licenses. I hope it helps the readers of my blog. Secretly, I'm hoping that this detailed explanation will discourage my reader to try obtaining import licenses by themselves. The golden rule in Brazil is: never do anything by yourself. Brazil is not for beginners. In Brazil, all foreign trade operations require a certificate from the Brazilian Revenue Service (BRS) called "RADAR" (acronym in Portuguese for "Customs Stakeholders Performance Tracking System"). It is also necessary to be registered at the Integrated Foreign Trade System (Siscomex), which is responsible for the storage and control of all the Brazilian and foreign importers and exporters information regarding the transactions carried out by them. Thus, in order to assist those who have interest in importing or exporting goods, we prepared this little manual guidance to help you get the RADAR / SISCOMEX license. Important: If you are a foreign company who wishes to export to Brazil, you don't need a RADAR. Your buyer will need one. On the other hand, if you want to set up a subsidiary in Brazil, in order to resell your own merchandise, then you will need an Import License. Firstly, the taxpayer must obtain a digital certificate to access the website of the Brazilian Revenue Service, since all documents must be sent online through a software (called "PGS"), an application that allows the taxpayer to upload all the necessary documents. You can obtain the digital certificate with any of the certification companies at this link. After that, you must access this link and click on “acessar o portal e-CAC” (access the portal e-CAC) and select the Mailbox Portal CAC as your Electronic Tax Domicile (DTE), clicking on "Termo de Opção pelo Domicílio Tributário Eletrônico" (Term Option for Household Electronic Tax). When the Statement Option appears on the screen, click on "Enviar Opção" (Send Option). After this, the taxpayer will still be given the option to register up to 3 phone numbers to receive messages that inform the delivery of Revenue communications regarding the procedure. · If the application is filed by an attorney, the attorney’s complete data. Ps. : The attorney cannot be enabled as the one responsible in the computerized systems (Siscomex or other). · The complete data of the customs forwarder in the event of using one to make the customs clearance. - Declaration signed by the applicant that all documents presented confer with the original. These documents should be scanned, front and back, and saved to a file extension. "Pdf". It is important to highlight that the process does not accept e-files larger than 14MB. The procedure for registration of attorney and delivery of PoA basically follows the same rite, but the taxpayer must select at the portal e-CAC the option " procuração eletrônica ", followed by " cadastrar procuração" and upload the document. It is noteworthy that in the event of a change in the qualification already obtained, you must also fill out the Request for Qualification, stating the nature of the change, following the same procedure mentioned above. As mentioned, since the administrative procedure for SISCOMEX / RADAR license is completely digital, the documents mentioned above must be sent through the Delivery Request Generator Program (PGS). To download the PGS just click at this link, and select the proper computer configuration. After this, the taxpayer must access the e-CAC portal and click on "Processo Digital" (Digital Process) and follow the next screen on "Solicitação de Juntada de Documentos" (Documents Upload Request). Done! Documents can now be sent and processed by the BRS. As it turns out, the procedure seems complicated, but with this little manual I hope it will be easier for taxpayers to obtain their RADAR / SISCOMEX license. It is important to remember that if the taxpayer does not want to have such work, there are many accounting and law firms specialized in foreign trade that already have knowledge of such process and that could help you. 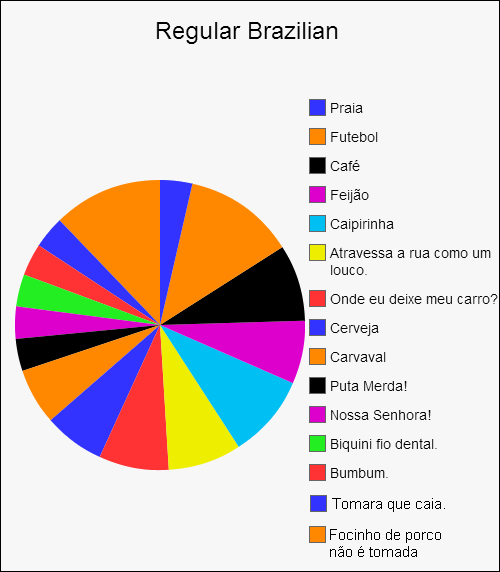 This is a very common problem in Brazil. According to the brazilian laws, it is mandatory for all brazilians who got divorced abroad to ratify this divorce at the brazilian courts. If this is not carried out the individual will, for all legal purposes, remain married. Often I receive this kind of question from my clients or from my clients former spouses, asking why they should get divorced twice. 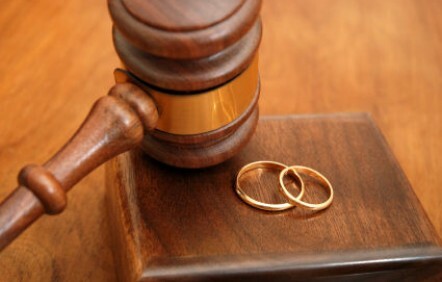 However, it is important to realize that without this procedure in Brazil, the divorce will not be recognized. In Brazil, the divorce must be ratified by the Superior Court of Justice - not to be confused with the Supreme Federal Court, the highest court of the country. 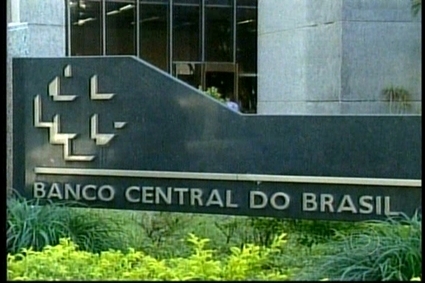 UPDATE FROM 2017: Simple divorces, where there are no children and no special partition of assets, now can be reigistered directly in a local cartório (public notary office), skipping the lawsuit. 7) certified copy of your identity card or passport. The entire process before the Superior Court of Justice generally takes about 01 year. With the acceptance of both spouses, the powers of attorney of both and the declaration of acceptance of divorce ratification, the time may be reduced. I have been working in this type of procedure for quite some time. If you have any questions, just send me an email or a comment here on this blog! - When marriage ends what happens to the foreigner's permanent visa in Brazil? Here is another guest post by Ms. Gringa, full of useful advices. Hope you enjoy it! Ahh, another post, another blister on my fingers. Add to this, I need to re-install my system, because unlike me, my computer can't relax, it has to have some fatal error. This post I thought I would go over some of the basics with you with regards to behavior etiquette and people you will need when you visit office buildings, government institutions and so on in Brazil. This stuff will become important as you make you way through the country. As you can see, it's simple but complicated. 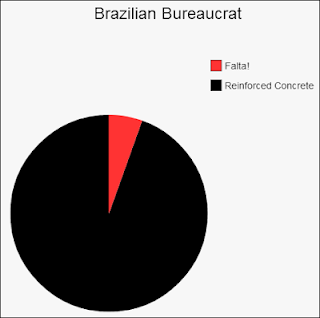 The ratio of reinforced concrete versus falta, varies from place to place and depending on what or who you are dealing with, and in some cases, regular Brazilians have other components, such as TV Novellas, BBQ and driving motorbikes like lunatics. Useful people to employ, know, become friends with and so on while you are in Brazil. You will need eventually, depending on your level of involvement with the system: A lawyer, an accountant, a good motoboy (motorbike courier) company, a bartender, a bank manager, an insurance broker, a friend with a house at the beach and/ or country side, a good cafe, knowledge of where a good Alambique (cachaça distillery) is located and someone to take you there. A doctor, a dentist, a friendly butcher, baker and candlestick maker would also help as well. What I mean is that make friends with the people who serve you and help you every day, they become useful allies and you won’t feel so lonely and in the end, the more you interact with the people here, the quicker you will learn the language. You will not get very far by isolating yourself. You need to learn how to speak even rudimentary Portuguese to be in Brazil for any length of time or you are going to become lonely and will be too dependent on others to get your stuff done. Other useful things include, a good and reliable photocopy shop, a place to get vitamins for when you are at the end of your rope. I don't mean vitamin supplements. If you are in Brazil as you are reading this, you know what I mean. If not, you will find out. Good things to know about business and government buildings. With any sort of business area, security guards will be reluctant to let you in if you are in shorts, are wearing flip-flops, or a tank top. Wear long pants, at least sandals, and a tee-shirt. If you’re a woman, a skirt or dress will do, but again some degree of modesty is expected or you might have problems. You will be asked almost without fail to provide biometric data on your entry into these business buildings and photo ID. Don't resist or complain, it is how it is. Deal with it. Seriously. No one cares if you complain, they simply will make it hard or impossible for you to proceed to where you are going. In a government area, there is higher tolerance for shorts and sleeveless shirts, but try to be decent and do wear shoes of some sort, better safe than sorry. You will also spend a lot of time in government buildings, so make sure you are comfortable as well. The sign saying, no cell phones is serious when it is displayed in these locations. It also means no computer, or smart phone usage either. At the very least you will be asked to stop, but you might be asked to leave and you will not increase your chances of having people be more cooperative with you in any case. Do not even pretend to use your cell phone in any Bank in Brazil, but in Post Offices, no one will care if you make phone calls or anything else. Also, remember being rude to a bureaucrat is against the law in Brazil. Simple like that. The level of cooperation and efficiency will go down in proportion to your impatience and irritation. If you want them to remain even somewhat cooperative, control yourself. Remember my pretties, no one is really after you personally. No one actually cares what you're doing or what you want. No one speaks English and no one is going to let you escape the rules However, a lawyer will know exactly how to bend the rules or find the shortcuts in them and a motoboy will stand in line for you within reason, so having the correct people around you will help. A lot. This will become more obvious as we proceed through the various institutions of Brazil, but for example when it comes to applying for visas, dealing with the Federal Police and so on, a lawyer becomes pretty much essential. When in doubt, see the pie charts I have so helpfully made up for you in this post. Regular Brazilians are some of the loveliest people I have had the good fortune of getting unladylike with due to excessive laughter and cachaça. On the caipirinha scale, the sum of the above only rates about a 2 most of the time. These regular day to day annoyances are just that; every day regular things. Better to just learn to live with them, than to have an ulcer about it. Next week we will be posting about some more exciting bureaucratic stuff, so stay tuned. Follow me on twitter, send me an e-mail, send the BLB a comment and stay chilled out. Xerox, Authenticated Copies, I need caipirinha, please. 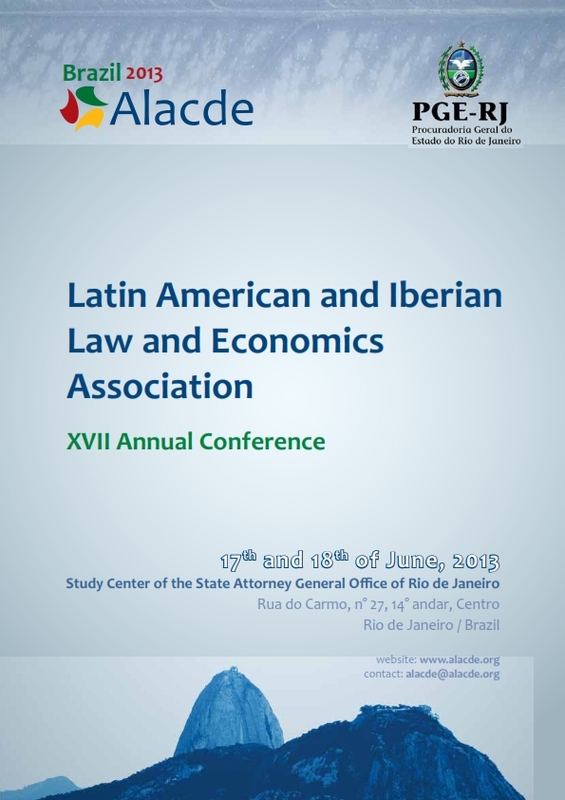 The next ALACDE (Latin American and Iberian Law and Economics Association) Annual Conference will take place in Brazil! If you are planning to go on this event you might find me. A month ago I wrote a post on a study from Exam Magazine regarding the best Brazilian ports, which can be accessed at this link. One of the flaws I pointed out in the study was about the lack of data on the delays and excessive bureaucracy of the Brazilian ports. I recently read another study, published by the “Zarpa Brazil” Campaign (“Sail Brazil”) , which provided very interesting information. Among it, some data on the bureaucracy of the Brazilian ports. 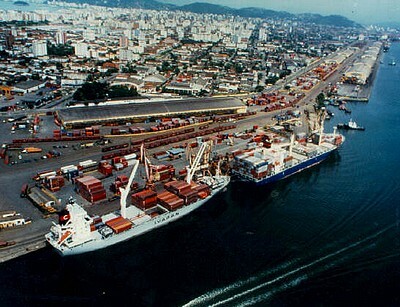 While the global average of days for customs clearance is about 2.9 days, in Brazil the average is 5.5 days. In countries such as the Asian Tigers – Hong Kong, Singapore, Taiwan – the number of days varies between 0.6 and 1.3. These reports corroborate a fact already known by many who work with import and export: Brazilian ports suffer from excessive bureaucratisation and need urgent reforms. I will soon publish in my blog more posts on this topic, including information regarding the MP 595, a Brazilian Act which seeks the modernization of Brazilian ports. Brazilian Law Blog: Which are the best brazilian ports? Recently, I have worked on a case involving the Brazilian Olympic Committee and the protection of trademarks related to the Brazilian 2016 Olympics. 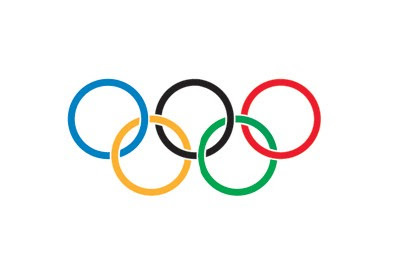 One of my clients, a software company, has received a notification from a law firm connected to the Olympic Committee. The notification required him to stop using the words "Olympics 2016" in one of the apps he was distributing for free. It is important to mention that my client at no time suggested in his product that he was a representative of the Olympic Committee. His product also lacked commercial purposes, having purely informational purposes for the general public. Nevertheless, he received the notification. Why did this happen? This is mainly due to the so-called Olympic Act (Brazilian Law No. 12035, from 2009), which determines an extremely rigid monopoly over the protection of Brazilian Olympic names and brands. This law, which is much more rigid than any other Brazilian laws relating to intellectual property, does not recognize the so-called "innocent use" or "fair use" (on this subject, please, read this other post “Intellectual property and 'fair use' under Brazilian Law”). This can lead to nonsense situations, where initiatives aimed at informing the public about the Olympics end up being considered as unlawful acts, simply because of the use of the words "Olympics 2016". I have heard similar stories regarding the 2014 World Cup.